From the Vendor: Hand picked for potency and harvested for maturity by our farmers, this Green Maeng Da will make even the most experienced Kratom user turn their heads. From the Vendor: Our customers asked, and we delivered – This Green Maeng Da strain is a 20% white and 80% green strain Kratom powder. Hand picked for potency and harvested for maturity by our farmers, this Green Maeng Da will make even the most experienced Kratom user turn their heads. Consistent with the level of quality and taste you experience at our store this Kratom strain is grown deep in the heart of the Bunut region and doesn’t disappoint. Great product, high quality. I’m always impressed by the quality of Kats, there is a significant difference with them and local vendors and other online vendors. Great product! Green Maeng Da is one of my top 5 fav! It’s smooth and invigorating giving me a pep to my step! Gives me just enough get up and go as my morning dosage and has replaced my morning coffee! It’s that good, for me! It will be my solid “in rotation” as there no jitters like some white leaf or coffee. Don’t get me wrong, I like white md when I’m tired and need to keep going, like an energy drink, but with other health benefits, but white is for me, only when exhausted. Thanks Justin for your awesomely top quality Kratom! It’s saved my life! 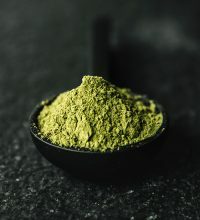 I am quite new to Kratom and I have tirelessly been searching site after site and have not liked what I’ve tried … That was until I found Kat’s Botanicals and tried your Green strain of powders! I have had RA for years and was given every pain pill created,but nothing ever brought me relief … But your products have provided such a peaceful, pain free life. I will only buy from this company and the shipping is beyond amazing! I get my orders within 4 days sometimes less!! I am truly living my best life because of Kat Botanicals, I truly believe that!! Thank you doesn’t seem to express my gratitude but I am so very thankful! Perfectly balanced, unbelievably fresh, and absolutely potent. As far as MDs go it doesn’t get better than this one. Would definitely recommend this strain! This helps me in many ways, a great choice. I plan to re-order, and i enjoy buying from Kats Botanicals. Green Maeng-da is one of my favorites! Green Maeng-da is one of my favorites! It helps me get through work days with a spark! I have tried multiple products from Kats and I have found Green Maeng Da is both consistent and dependable. Green Maeng Da is very effective.